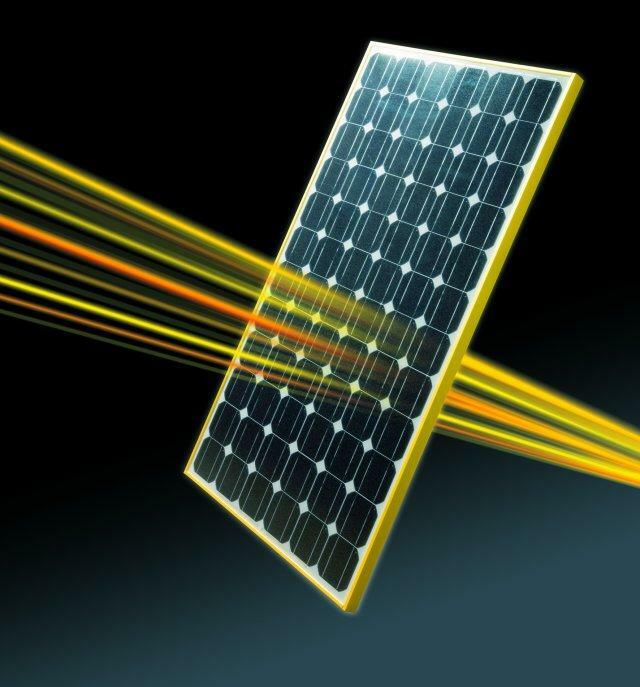 Solar cells, also called photovoltaic (PV) cells by scientists, convert sunlight directly into electricity. PV gets its name from the process of converting light (photons) to electricity (voltage), which is called the PV effect. The PV effect was discovered in 1954, when scientists at Bell Telephone discovered that silicon (an element found in sand) created an electric charge when exposed to sunlight. Soon solar cells were being used to power space satellites and smaller items like calculators and watches. Today, thousands of people power their homes and businesses with individual solar PV systems. 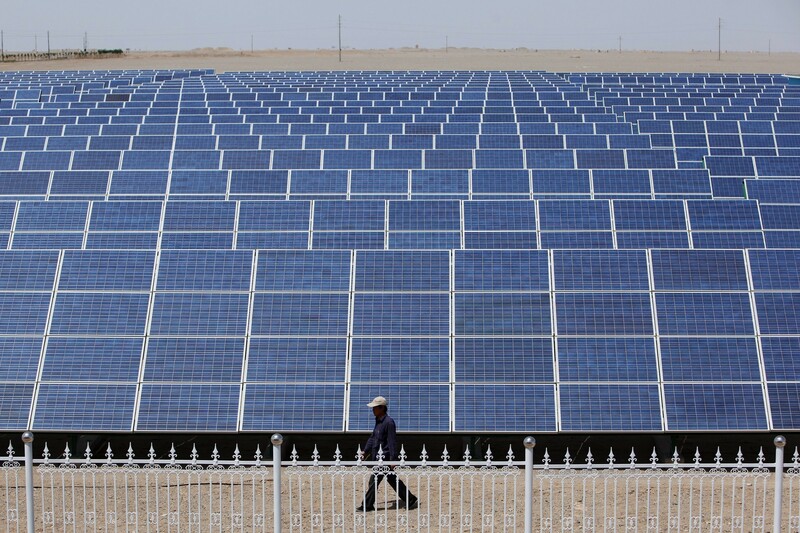 Utility companies are also using PV technology for large power stations. Solar panels used to power homes and businesses are typically made from solar cells combined into modules that hold about 40 cells. A typical home will use about 10 to 20 solar panels to power the home. The panels are mounted at a fixed angle facing south, or they can be mounted on a tracking device that follows the sun, allowing them to capture the most sunlight. 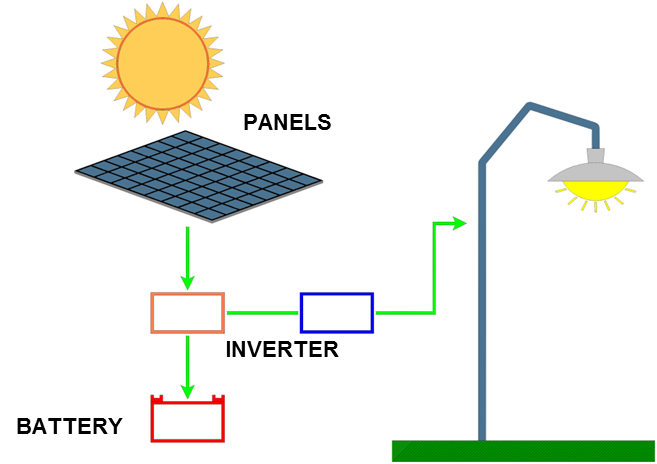 Many solar panels combined together to create one system is called a solar array. For large electric utility or industrial applications, hundreds of solar arrays are interconnected to form a large utility-scale PV system. Third-generation solar cells are being made from variety of new materials besides silicon, including solar inks using conventional printing press technologies, solar dyes, and conductive plastics. Some new solar cells use plastic lenses or mirrors to concentrate sunlight onto a very small piece of high efficiency PV material. The PV material is more expensive, but because so little is needed, these systems are becoming cost effective for use by utilities and industry. However, because the lenses must be pointed at the sun, the use of concentrating collectors is limited to the sunniest parts of the country.